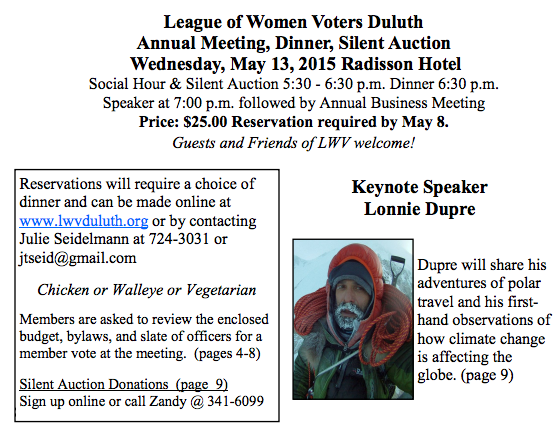 May 13 - LWV Duluth Annual Meeting! Donate Items to the Silent Auction! RSVP by May 8 - $25/person to be paid at the door on event night.